Last week Chloe and I were asked to try the menu at CERU’s new brand in the heart of Soho, on D’Arblay Street. 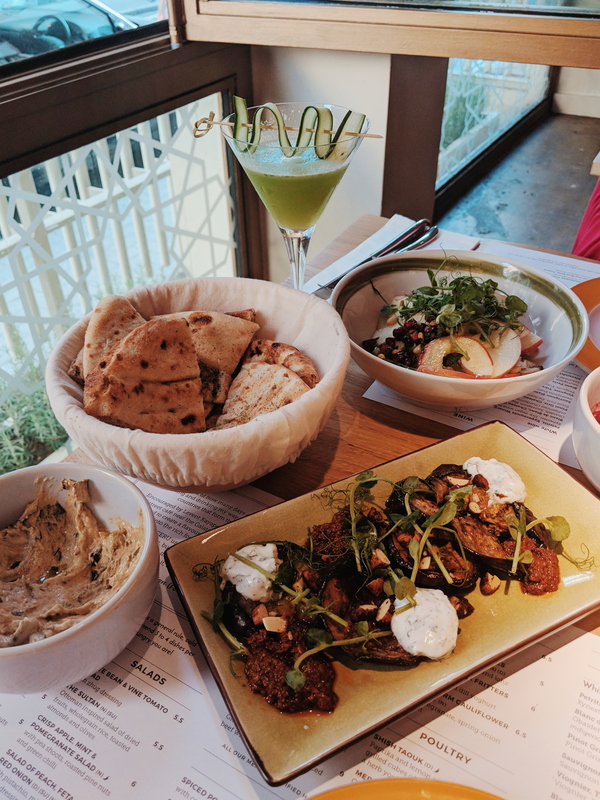 CERU serve up a range of dishes, inspired by Middle Eastern cuisine of Levant – a region of the Middle East that encompasses Lebanon, Israel, Palestine, Syria, Turkey, Egypt and Cyprus. The menu is designed to share, with both meat, poultry, seafood and veggie small and large plates. CERU use almost 100 ingredients and over 20 spices in their dishes, utilising the humble lemon throughout. The incredible scents of which, waft out of the open kitchen, filling the restaurant with a beautiful aroma. Open daily from lunch until late, serving brunch, lunch, dinner and cocktails, CERU have something for everyone. Whilst we perused the menu, we each chose a cocktail to start. 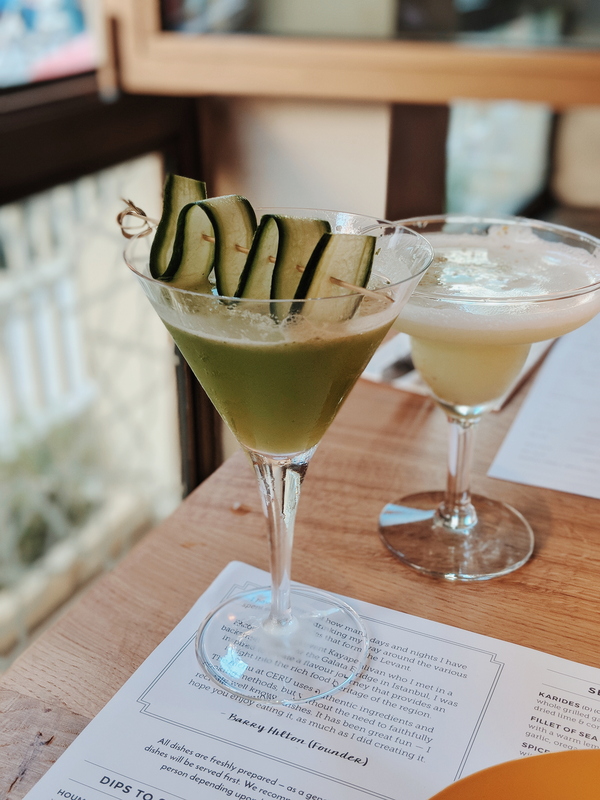 Whilst I chose the Cucumber Martini (a delicious cucumber, elderflower, lemon and mint martini), Chloe opted for the Pistachio Meringue – another gin based cocktail with pistachio syrup, egg white, lime and cardamon syrup. As I said, the dishes at CERU are intended for sharing, and everything is served as it comes out of the kitchen. So it’s less about starters and mains, but more about a meze of different dishes. Personally, I love this type of dining as I love to try a selection of the menu and much prefer to share a bit of everything, than have one plate to myself. 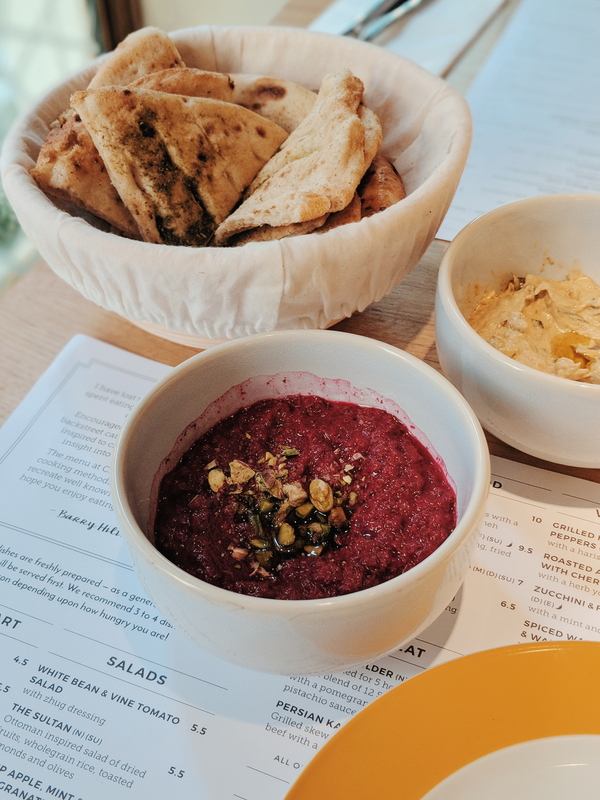 The first dishes to arrive after ordering were dips, including Fadi – roasted courgette, garlic, lemon and tahini (AMAZING), and Pancar – roasted beetroot, yoghurt, garlic and crushed pistachio, with a basket of warm pitta bread. The bread tasted delicious with the roasted aubergines and Chermoula too, which was served with a herb yoghurt dressing. Whilst for me, the salad that we chose (crisp apple, mint and pomegranate) was too heavily dressed and tasted quite sour unfortunately. 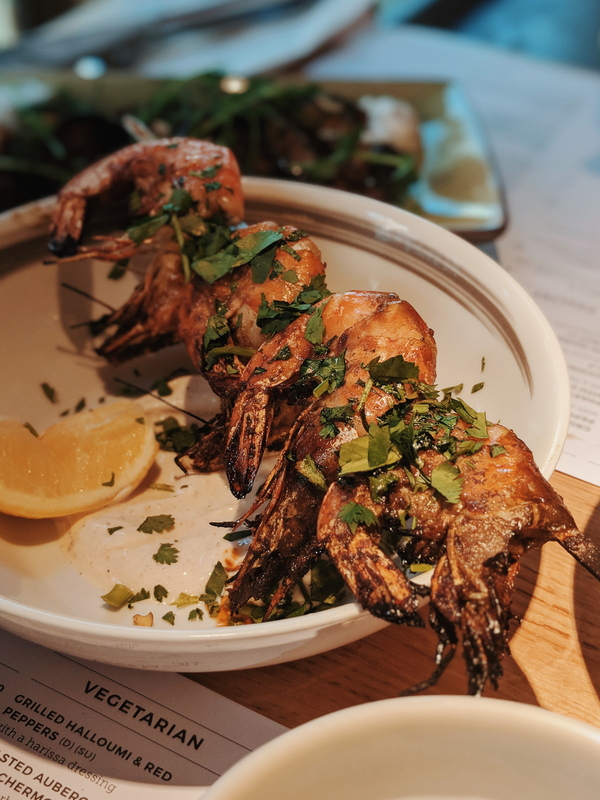 Next up was our seafood and meat dishes – Karides (whole grilled garlic prawns with a dried lime & coriander labneh). Prawns are always my go-to when it comes to seafood, and I don’t normally mind having to remove the shell myself. However, with this dish, the prawns had been overly grilled, meaning the shell was almost impossible to get off, resulting in lots of mess an missing some of the tasty prawn meat. It’s a shame, because this dish could be great, but my tip would be for CERU to either grill them for 30 seconds less, or serve them de-shelled. These were also pretty expensive at £10 for just 4 prawns on 1 skewer. It wasn’t all bad though, the lamb shoulder, slow roasted for 5 hours in a secret blend of 12 Shawarma spices, was great, although a little overpriced for £11.50. 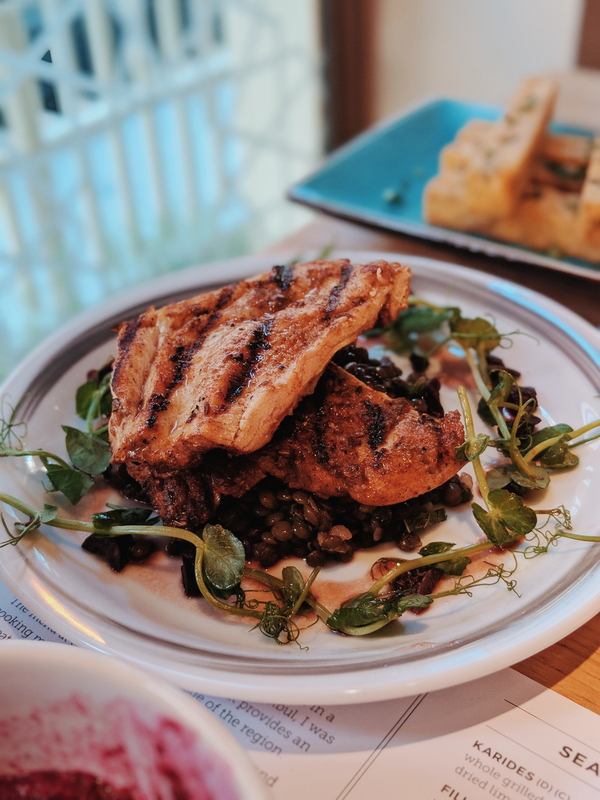 But for me the star of the show was the chicken, which isn’t a meat I would normally jump at, but their merguez chicken was perfectly cooked – super juicy and succulent. Grilled on a bed of lentil, mint and dried black olives, this dish is a must! 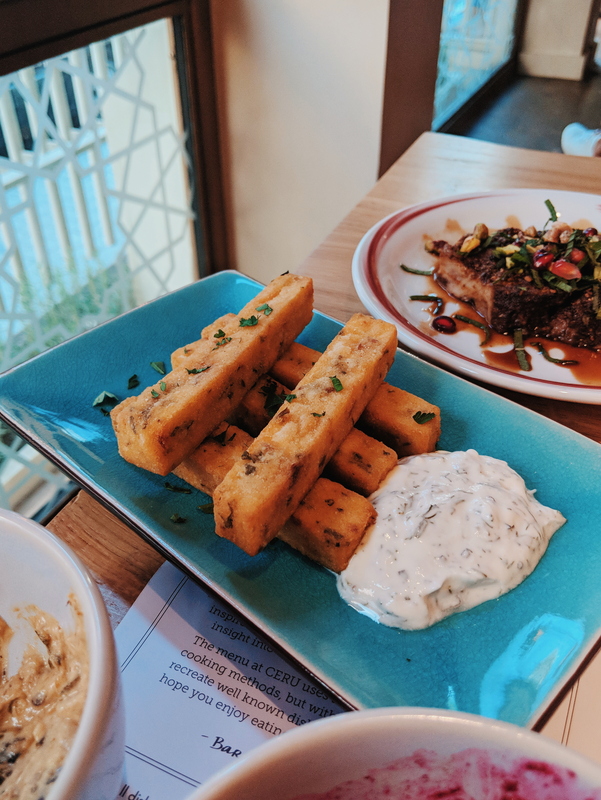 We also couldn’t resist trying a side of spiced polenta and feta fries, but again they were a little lacking in terms of flavour and quite dry. Polenta can be difficult to get right, but I was expecting more from the flavours of feta, coriander and chilli. So overall, it was a mixed bag in terms of the dishes. 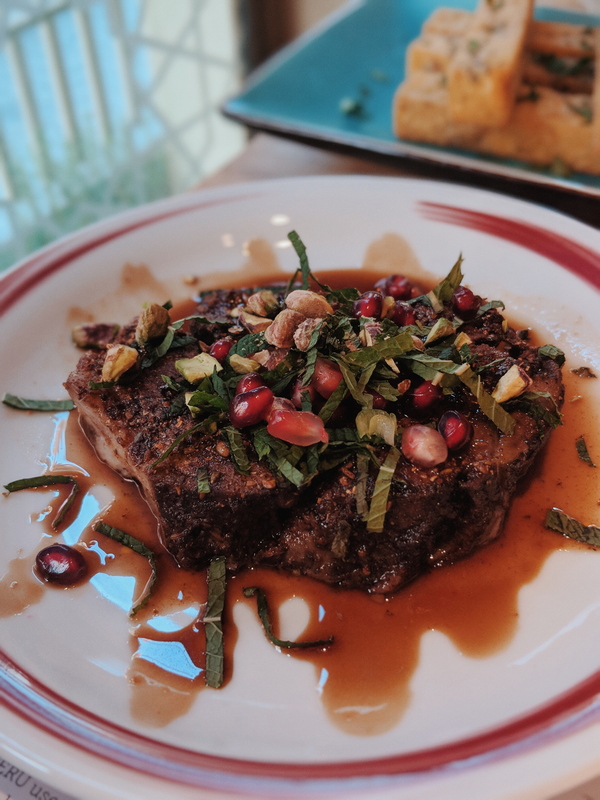 Whilst I love Middle Eastern food, I feel some of the dishes at CERU need refining, but I appreciate what they’re doing with their menu in the heart of Soho. Price wise, I think some of the dishes on the menu are a little overpriced for the area, compared to perhaps their other restaurant in South Kensington. But I’d like to go back and try more of the vegetarian dishes on the menu, as for me the Fadi and aubergines were fantastic! The merguez chicken is a must!